Jack Zipes was honored on the occasion of his 80th birthday with the IRSCL honorary fellowship during the 23rd IRSCL biennial conference in Toronto, Canada, on account of his lifelong achievements in the field of fairy tales and children's literature. There are many reasons why these achievements are outstanding. First of all, Zipes did not confine himself to one language only, but familiarized himself with German as well, thereby gaining access to one of the richest traditions in folk-and fairy tale philology. Second, his work has been leading in exemplifying the importance of theory to understanding the place of children's literature in society. Third, he has allowed his interest in theory to be fed by various disciplines, such as the social theory of the Frankfurter Schule, Norbert Elias's civilization theory and evolutionary science. Fourth, all throughout his career, Zipes has demonstrated a remarkable versatility. To turn to children's theatre after graduating in comparative literature was hardly a plausible move in the early seventies, and to allow oneself to be inspired by evolutionary science after immersion in neo-Marxism is not a predictable shift either. Nevertheless, throughout these remarkable moves, Zipes somehow managed to remain true to his first loves, namely his radical politics, and his persistent fascination with folk- and fairy-tales. Zipes achievement is likely "to stick" for a long time, because he refused to stay put as an author and intellectual all his career. Thanks to his remarkable intellectual versatility, the concepts and theories he has coined keep on moving about as well, making equally surprising moves. The concept "meme" is probably one of the best illustrations of the versatility of Zipes' intellectual heritage. Originally introduced by the evolutionary scientist Richard Dawkins, it was taken up by Zipes in his monograph Why Fairy Tales Stick: The Evolution and Relevance of a Genre (2006), and nowadays, it is omnipresent in media studies, neatly purified of its imperialistic Dawkensian connotations, in all likelihood because it was subjected to Zipes' critical acumen in between. May Jack Zipes and his intellectual legacy stick around for a long time still. Mavis Reimer has served for ten years on the IRSCL executive executive board, first as treasurer for a period of four years, then as president, for two consecutive terms, and finally as past president. Her importance to the society can hardly be exaggerated. First of all, her financial insight has been very helpful, if only because this is a rare gift amongst literature lovers. Thanks to her polite but persistent negotiations with Edinburg University Press, International Research in Children's Literature is by now garnering significantly larger revenues than in its early days. Second, her research on Canadian First Nations storytelling practices, on forcible child removal in colonial and postcolonial contexts, and her theoretical reflections on "home," "homelessness," and "homing" more broadly has set very important standards for the society at large, both in its choice of topic and in its theoretical sophistication. On an earlier occasion, Mavis manifested her many talents as a researcher through her keynote address to the 2011 IRSCL Congress in Brisbane, while every researcher in the field is likely to have read the edition of The Pleasures of Children's Literature which she co-authored with Perry Nodelman. Mavis Reimer is not only a seminal and prolific researcher, but also an excellent academic leader and administrator, and that is a rare combination. Often enough, academics who have somehow reached a dead end in their research escape into the administrative positions, but Mavis has somehow always managed to combined the two, as the former director of Centre for Research in Young People's Texts and Cultures (CRYTC), and currently as the Dean of Graduate Studies at the University of Winnipeg, and all throughout, as a member of the IRSCL executive board. The society has been very lucky to have profited from her good services for such a long period of time. She will be much much missed on the executive board, but not in the society at large we hope. John Stephens's most influential and widely known publication is Language and Ideology in Children's Fiction, published by Longman from London in 1992. Language and Ideology is one of those centrally important, core academic studies that everyone working in the field needs to know. But he has also contributed - and he continues to contribute - widely to a range of other important questions and topics: on Asian children's literature and picture books, on utopian narratives or "new world orders," on the representation of masculinities, on traditional stories and metanarratives, and on Australian literature for children. Much of this work has been inflected by his longstanding interests in ideology of text, narratology, and discourse analysis. His substantial body of work has been recognized for its impact on the field by a number of organizations - in 2007, he was the recipient of the International Brothers Grimm Award, a biennial award made to a scholar who has produced an outstanding body of research into children's literature by the Osaka International Institute for Children's Literature, and in 2014, he was the winner of the Anne Devereaux Jordan Award, given by the Children's Literature Association in recognition of significant contributions in scholarship and/or service to the field of children's literature. For IRSCL, however, John has been not only an important scholar and a lively presence at our biennial Congresses, but also an important leader and shaper of this Society. He was a member of the Executive Board during the decade of the 1990s, serving as President of the Society between 1997 and 1999. He was on the leading edge of new scholarship, supporting, for example, the intentional extension of children's literature scholarship into the areas of film and other media. He has also stood for inclusion of scholars from as many countries as possible in this organization, and has worked to develop processes to ensure that this occurs. Furthermore, his commitment to internationalism is evident in his work as the founding editor of International Research in Children's Literature. Pamela Knights began her career as a teacher of English and Drama in secondary schools. Her scholarly work in children's literature is informed by her expertise in teaching and her interest in young people as readers and consumers of texts. She taught and carried out research at the University of Durham up to her retirement, winning a National Teaching Fellowship which incorporated a wide range of activities with schools and students in Britain and which aimed to enhance English teaching. Pamela Knights is a distinguished scholar in the field of American literary realism, with major publications on Edith Wharton, Kate Chopin and William Faulkner. Her research in children's literature was spurred by her membership of IRSCL from the 1990s, and she has published widely on children's texts and on the teaching of children's literature. She joined the IRSCL Board in 2006, serving as Secretary in her first term. Pamela's most significant contribution to IRSCL took the form of her role as founding Executive Editor of International Research in Children's Literature from 2007 to 2010. During these years Pamela represented the IRSCL Board in meetings with Edinburgh University Press, reporting to the Board on these meetings and paving the way for the agreement between EUP and IRSCL that led to the launch of the journal in July 2008. As the inaugural Executive Editor, Pamela worked closely with John Stephens, the Senior Editor, to ensure that the journal would grow and thrive. Her roles included the formulation of the journal's style guide, the inauguration of the Advisory Board, the development of editing protocols, and the establishment of processes of communication between authors and editors. During these crucial early years Pamela Knights's scholarly acumen, tact, editorial skills and thoroughness helped shape IRCL into a successful scholarly journal, distinctive in its international reach and playing an integral role in IRSCL's engagement with the scholarly field of children's literature. Okiko Miyake began working in childrens literature in 1964 when she became a lecturer at Osaka Ohtani Womens College. Later she gained a professorship at Baika Womens University in Osaka, where she is now a Professor Emerita. Okiko Miyakes many publications cover Japanese literature for children, representations of Japan in English books, chapbooks and picture books, with an emphasis on the cultural contexts of Japanese and English texts for children. Okiko Miyake is a prominent research leader: in Japan she has been President of the Association of Studies for Picture books, and of the Japan Society for Childrens Literature in English. Her international connections are evident in her participation in IRSCL congresses and activities, and her work as the Chairperson of the Fourth Pacific Rim Conference in Kyoto in 1993. Since 2010 Okiko Miyake has been the Chief Director of the International Institute for Childrens Literature in Osaka, one of the worlds great collections of childrens literature and a centre of activities for the general public. This Institute, founded in 1984, is located in the Osaka prefecture. In 2008 it faced the prospect that it would be closed down and its collection of more than 700,000 items dispersed throughout the holdings of the Osaka Prefectural Central Library. With her colleagues, Okiko Miyake first conducted a local and international campaign to prevent the closure of the Institute. When the Governor decided to go ahead with his plans, Okiko Miyake and her colleagues continued their campaign and took legal action to protect the Institutes collection. Ultimately the collection moved to the Osaka Central Library, but because of the advocacy of Okiko Miyake and her colleagues the staff of IICLO are continuing their work of collection, classification and preservation as well as developing new outreach activities. Tomoko Masaki began her work in childrens literature in 1973 when she established a private library in Osaka, sharing picture books, poems, and stories with babies, children and adults from all over the world. She worked as a lecturer in childrens literature at Baika Womens University, becoming a Professor at Seiwa University in 2005. Tomoko Masaki has devoted herself to research on the picture book: its history in Japan and England; its design, comparative cultural studies and audience studies. Among her many publications on this topic, her principal scholarly work is the two-volume History of Victorian Popular Picture Books, which comprises a bibliographic and analytical investigation of Routledges toy books, published between 1852 and 1893. This is the authoritative study of toy books, a key resource for anyone working on the history of British childrens literature. In 2006 it received the Harvey Darton Award, given biennially to a book that best addresses British childrens literature of the past. In 2001, with her colleague Okiko Miyake, Tomoko curated a major exhibition, 'Through Eastern eyes: The art of the Japanese picture book' at Newcastle Universitys Hatton Gallery. 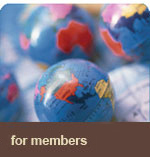 In 2005 Tomoko Masaki took up the position of Chair of the Committee which organised IRSCLs 18th Congress in 2007. This was the first IRSCL Congress held in Japan and one of the most successful in the Societys history. With her colleague Okiko Miyake and many other Japanese scholars, she has been a key supporter of the International Institute for Childrens Literature in Osaka in its struggles for survival since 2008. Tomoko Masaki is the chief plaintiff in the continuing court case initiated by IICLO at the Osaka District Court concerning the ownership of the many rare and precious items in the IICLO collection. The IRSCL Fellowship recognises Sonja's extensive and longstanding contributions to IRSCL and to research in children's literature, especially in Sweden. Sonja's first contact with IRSCL occurred in 1976 outside Stockholm, when she assisted Mary Ørvig and Göte Klingberg, who as secretary and chairman organised the symposium. After the Moscow conference in 1981 she was elected to the IRSCL Board and served as Secretary to Denise Escarpit in preparing the Bordeaux program in 1983, the same year in which she obtained her PhD and succeeded Mary Ørvig as director of the Stockholm Institute. Sonja served as Vice President until the conference at Montreal in 1985 and attended further IRSCL Congresses in Cologne, Salamanca, Paris, Stockholm and Kristiansand. Helene Ehriander (Växjö University) received the award on Sonja's behalf and read her acceptance speech. Helene also outlined Sonja's contributions to IRSCL and to children's literature, pointing out that she has published and lectured nationally and internationally in the field since the late 1960s. Sonja's main research interests have been children's periodicals, young adult literature and the interaction of society and literature. She was responsible for sections on children's books in Sweden's most extensive history of literature and its leading modern encyclopaedia. From 1983 to 2005 Sonja was engaged as Director of the Swedish Institute for Children's Books. In this role she organized research conferences and was the editor of the Institute's biannual magazine and of some 70 titles in the Institute's professional series, in most cases offering authors professional advice and manuscript readings. She has been a member of diverse juries, including the Italian Rolando Anzilotti Award (1986-94) for outstanding international studies in the field and the Brothers Grimm Award of the Osaka Institute (1998-2008). She was on the advisory board of Bookbird (1997-98) and in retirement continues to pursue research into children's periodicals. The IRSCL Fellowship awarded to Riitta Kuivasmäki recognises her service to IRSCL and to children's literature research in Finland. Riitta joined IRSCL in 1981 and served on the IRSCL Board from 1985 until 1989. In her second term on the Board she took on the responsibility of Treasurer with notable efficiency, computerising membership information for the first time. The Frankfurt Congress was the eighth Congress which Riitta attended. Riitta Kuivasmäki has been one of the main pioneers of children's literature research in Finland. Her doctoral thesis was among the first studies ever written about children's literature in Finland, and she was the first academic to work in the field of children's literature in Finland. She initiated the founding of the Finnish Institute for Children's Literature in 1978, and was its first director, leading the institute from 1980 until her retirement in 1999. During her period as director of the Finnish Institute for Children's Literature she produced bibliographical material still used by Finnish scholars. Riitta has always encouraged young scholars and has initiated many projects. She has had many international interests, including a period as visiting scholar in the Osaka Institute of Children's Literature. kunnia on ikuinen ja lisääkin voi tulla! Lyrics by "The Young Finns"
The honour stays for ever, and there might be even more on the way! A birch, a star, a Struwwelpeter - nothing is impossible! (The birch and the star refer to a literary fairy tale of Zacharias Topelius after which the bibliography of Finnish juvenile literature published between 1543 and 1899 was named. The bibliography was written by Riitta Kuivasmäki, Marja Kukkonen and Marita Rajalin). Ann Lawson-Lucas was a board member in the 1990s who organised both a symposium with publication and a congress with proceedings in the UK. The congress she managed in York, 1997 'The Presence of the Past in Children's Literature', made a significant contribution to the Society's funds which enabled us to support numerous travel and research grants. More recently she has been instrumental in approaching Edinburgh University Press and negotiating a contract that sees them publishing the IRSCL journal. In this process she not only gave her time and expertise to securing what is an important new development for the Society's future and status but she has also supported it in other ways, including by serving in a senior capacity on its advisory board. Anne Scott MacLeod was President from 1985-89, a crucial period in the Society's history. She oversaw the creation of the by-laws and the regularisation of financial and congress arrangements. Under her leadership the IRSCL became a more robust and effective organisation for its members; without her efforts it might not have survived. For many years, Jean Perrot was Director of the Institut International Charles Perrault, a centre for research in children's literature which he founded in Eaubonne in 1994. He has organized a host of international conferences and edited many important collections of essays. In 1991, he hosted the highly successful 10th Biennial IRSCL Congress in Paris, and then edited the proceedings of the congress, Culture, texte et jeune lecteur, which were published with the Presses Universitaires de Nancy in 1993. He has also served on the IRSCL Board of the IRSCL. Jean's indefatigable promotion of international exchange and collaboration in the study of children's literature has had a major impact on the field. In 2001 he was awarded the International Brothers Grimm Award. 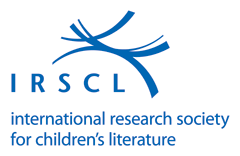 The IRSCL Fellow was established in 2001 to honour someone who has made a significant contribution to the field of childrens literature research and to the IRSCL. The first recipient of the award in 2001 was Klaus Doderer, the first president of the IRSCL. The second IRSCL Fellow was announced at the farewell banquet of the Kristiansand congress by President Sandra Beckett; he is Göte Klingberg, who was the second president of the IRSCL from 1974-1978 (the fact that the first two Fellows are both past presidents is coincidental and does not set a precedent!). Unfortunately, Göte could not be present at the award ceremony. Göte Klingberg was born in Loviisa, Finland in 1918, but his family returned to Sweden shortly thereafter. He studied theology and education at Lund University. His research on childrens literature began as a private interest in the 1950s. In 1962, he published Barnboken genom tiderna: en översikt and in 1964, he was awarded a doctorate at Uppsala University for a dissertation in educational history titled Svensk barn- och ungdomslitteratur 1591-1839, the very first Ph.D. thesis on childrens literature in Sweden. Göte Klingberg has often been referred to as the father of Swedish research into childrens literature,, but I prefer Stefan Mählqvists designation of the Linnaeus of research on childrens books, because, like Linnaeus, Klingbergs work has had a major impact well beyond Swedish borders. What strikes one immediately on glancing through his bibliography is his vast, encyclopedic knowledge, the breadth of his cultural interest, and the scholarly rigour of his work. Among his first studies from the 1950s were an essay on the corrupted Latin liturgical formulas present in childrens rhymes and one on the complexity of the language of comic strips, which contradicted the claims of those who disparaged the genre at the time. He was concerned about the lack of a common terminology in the field and published in that area. He is also published surveys of existing research and research needs, the history of childhood, the history of the book, trends in the translation of childrens books, fantasy, etc. He has studied early imports of English picture books to Sweden, as well as a study of British landscapes in childrens books (Besök brittiska barnbokslandskap, 1987). In 1982, he began what Lena Törnqvist, in the Introduction to the bibliography of Klingbergs work, calls his magnus opus, a three-volume survey of childrens and young peoples book publishing in Sweden in the nineteenth century, which involved the tracking down, cataloguing, and classifying of every work published for young readers in Sweden from 1840-1889. This translates into the personal inspection of most of the almost 4,800 titles! This ground-breaking work has become the model for similar projects in other countries. His impressive output continues: Göte, who recently celebrated his 85th birthday, has completed two manuscripts in English that Sonja Svensson, Director of the Swedish Institute for Childrens Literature, hopes will appear in the series of the Swedish Institute for Childrens Literature, to which he has already contributed at least five titles. Lena Törnqvist says that it was indirectly thanks to Klingbergs research that it was possible, in 1991, to celebrate the 400th anniversary of the first childrens book in Sweden. In 1972, he was award the Swedish Gulliver Prize for his wide-ranging and pioneering works on childrens literature. About the same time, he was involved in the founding of the IRSCL. His significant contribution to the field in other countries, especially Germany, was recognized by Klaus Doderer and Theodor Brüggeman on the occasion of Götes 70th birthday in 1988. In 1989, his international contribution to the field was acknowledged when he was awarded the prestigious International Brothers Grimm Award. Klingberg, Göte, ed. Children's books in translation: the situation and the problems. Proceedings of the third symposium of the International Research Society for Children's Literature held at Södertälje, August 26-29, 1976. Stockholm: Almqvist & Wiksell International, 1978. Klingberg, Göte. Sekelskiftets barnbokssyn och Barnbiblioteket Saga [The view of children´s books at the turn of the century 1900 and the Saga library for children]. 1966. Klingberg, Göte. De fremmede verdener i brrne- og ungdomsromanen. Gyldendal, 1976. Klingberg, Göte. De främmande världarna i barn- och ungdomslitteraturen [The strange worlds in children's fiction] Rabén & Sjögren, 1980. VFrket er en revideret udgave af ovenstDende. Klingberg, Göte: Besök i brittiska barnbokslandskap. Stockholm: Sjöstrand, 1987.  Summary: Visits to British children's book landscapes. Klingberg, Göte: Denna lilla gris gDr till torget och andra brittiska toy books i Sverige 186979 [British toy books in Sweden 186979]. Stockholm: Rabén & Sjögren, 1987. Ground-breaking work on British toy books in Sweden. Klingberg, Göte & Bratt, Ingar: Barnböcker utgivna i Sverige 184089: en kommenterad bibliografi. Lund: Lund university press, 1988. 3 vol.  Summary: Children's books published in Sweden 184089: an annotated bibliography. Klingberg, Göte. Till gagn och nöje: svensk barnbok 400 Dr. Stockholm: Rabén & Sjögren, 1991.  Summary: For instruction and delight: the Swedish children's book: 400 years. Klingberg, Göte. Folklig vers i svensk barnlitteratur. Stockholm: Natur och Kultur, 1994.  Summary: Poetry from oral tradition in Swedish children's literature. Klingberg, Göte. Den tidiga barnboken i Sverige: litterära strömningar, marknad, bildproduktion. Stockholm: Natur och Kultur 1998.  Summary: Early children's books in Sweden: literary movements, the book market, picture production. Klingberg, Göte. Tryckta skrifter 1931-1999 / Veröffentlichen 1931-1999/Publications 1931-1999. Stockholm: Svenska barnboksinstitutet, 2001. Förord av Sonja Svensson. Inledning av Lena Törnqvist. Parallelltext pD tyska och engelska. Svensk barn- och ungdomslitteratur 1591-1839 en pedagogikhistorisk och bibliografisk översikt [Swedish literature for children and adolescents 1591-1839 a historical and bibliographical survey]. This information was prepared by Sandra Beckett with the help of Sonja Svensson, Director of the Swedish Institute for Childrens Literature, who co-edited with Göte Klingberg a bibliography of his work in 2000. The book contains an excellent introduction by Lena Törnqvist, Senior Librarian at the Institute.